Titan and Enceladus: Who Knew Moons Could Be So Interesting? When you think of our Moon, you probably picture a plain, grey, crater-filled place without much else going for it. Two of Saturn’s moons, Titan and Enceladus, couldn’t be more different from this description. Saturn is the sixth planet from the Sun in the Solar System. Though, it is well known for its phenomenal rings, few know that Saturn has 62 moons. Even lesser known is just how interesting the moons can be! Titan is Saturn’s largest moon and is the only object in space other than Earth where clear evidence of surface lakes has been found. These lakes are made of liquid methane, meaning that the conditions of Titan are just right for liquid methane to exist, which does not occur naturally on Earth. 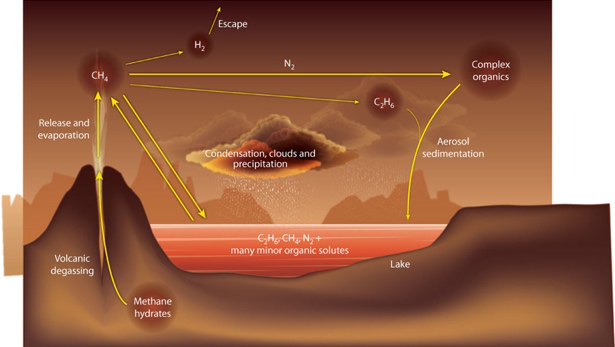 Methane is a hydrocarbon, and hydrocarbons happen to be the basis of life as we know it. Titan was also the first object in the outer solar system to receive a terrestrial craft on its surface. Enceladus is Saturn’s sixth largest moon and has ice volcanoes that send geysers of ice particles out from beneath its surface into space. Earth has volcanoes too, though they spew hot lava, so who knew it was even possible to have ice volcanoes? These phenomena of Titan and Enceladus were most extensively analyzed by the Cassini-Huygens mission. By analyzing the results from scientists and their experiments with Cassini and Huygens’ instruments, we have researched how we know these facts about Titan and Enceladus and why these phenomena exist in the first place. 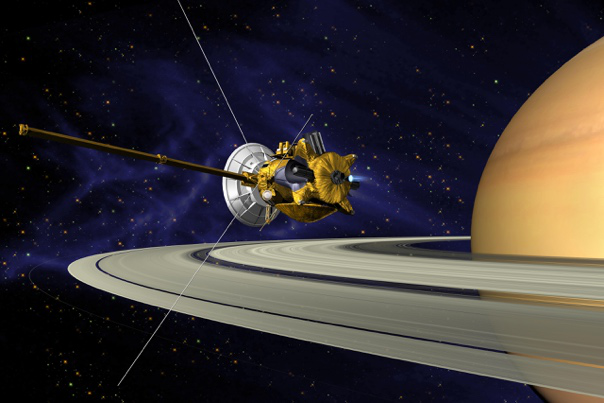 Figure 1: An artist’s rendition of Cassini-Huygens orbiting Saturn. Credit to Wikipedia Commons. Did you know that Titan is well over nine times farther from the Sun than Earth? Because of this, Titan only receives only about 1% of the light Earth does.3 Despite this, it was first proposed that liquid bodies were present on Titan’s surface based on data from the Voyager 1 and 2 space probes which were launched in 1977. Their data showed that Titan had a thick enough atmosphere and the right temperature and composition to support such bodies. However, it wasn’t until the Cassini-Huygens mission that this fact was confirmed. It was discovered that Titan’s atmosphere has a relatively high humidity, which enables liquid bodies to be present. Not only were liquid bodies confirmed, but also that some of these bodies are huge! Some scientists are calling them seas rather than lakes because they are so big.4 They may possibly have shorelines too.5 One outstanding and observable sea is called Ligeia Mare, which is equivalent to the size of North America’s Lake Superior.3 The seas are formed from river-like channels that meet at one point and continually deposit the methane and ethane liquids into a depression.3 Titan’s lakes are generally found in its north pole with some also present in its south pole.3 The composition of these lakes are 75% ethane, 10% methane, 7% propane and have trace amounts of hydrogen cyanide, butane, nitrogen and argon6. However, the composition of lakes varies from one lake to another in the ethane:methane ratio. Mare: Latin for “sea” and commonly used to describe large, dark plains on moons and Mars. 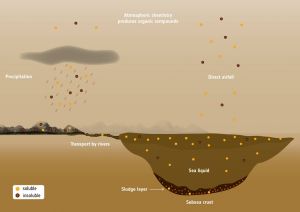 Raining occurs on Titan11 as well and the lakes are thought to fill up from rainfalls and liquids seeping up from the ground, whereas the seas are formed from rivers connecting.12 Hence, Titan’s lake formation is very different from its seas. Figure 6: Image of the Kraken and Ligeia seas. Credit to NASA. Besides ginormous seas, there are shallower and smaller lakes too. These smaller lakes have round margins and steep walls.11 The lakes go through a methane cycle of evaporation, cloud formation, and precipitation.13 Though there are lakes that are present on the South Pole, they aren’t as big as the ones on the North Pole. The reason for this is that there are two seasons on Titan. In the North, summer is longer but dimmer, while in the South, summer is shorter but more intense.14 Methane rains are more likely to occur when it is colder in the North.12 Therefore, more lakes are formed in the North Pole where the rainy season is longer. Below is a video of nitrogen bubbles formed on Titan’s lake surface. Figure 7: Here is an animation of how radar works. Credit to National Oceanic and Atmospheric Administration. 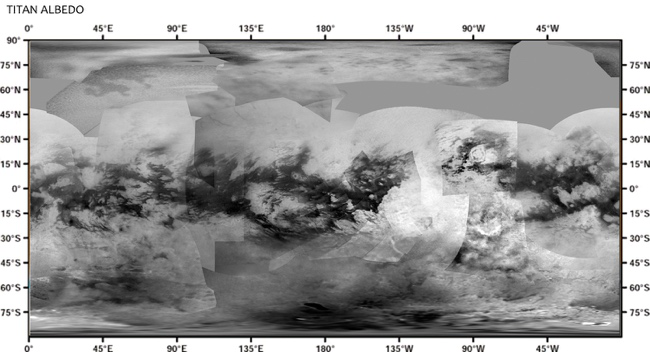 Cassini used its Radar Mapper to discover Titan’s lakes. In general, radar is used in many applications to determine surface outlines.16 It does this by sending out radio waves which hit surfaces of objects and then bounce back toward the receiver. The manner in which the radio waves return to the receiver helps us understand certain qualities about the object that the waves just bounced up against. For example, radio waves sent toward a mountain will return to the receiver in a different manner in which radio waves sent toward a flat plain. This is also true for the Radar instruments on the Cassini spacecraft. It can detect slight differences in both the arrival time and the stretching or shortening of the radio waves it sends towards the surface of Saturn’s moon Titan.17 Cassini can then create a picture of Titan’s surface based on what this information provides. It determined that some of these waves must have been bouncing off solid ground and that other waves were bouncing off liquid bodies.2 This is how the ideas but forward from the data collected from the Voyager 1 and 2 missions some 20 years earlier were confirmed. Figure 8: Topographical map of Titan. Lighter and darker coloring indicates more solid ground and more liquid bodies, respectively. Credit to International Cartographic Association. We are able to know all these fascinating facts about Titan thanks to Cassini’s sophisticated instruments. Titan, much like Venus, has a thick atmosphere that hides its surface.3 Therefore, the Radar needed to be tuned in order to see what’s below the interference. The scientists at NASA were able to tune the instruments so they can detect even very small differences such as how smooth a surface is. This makes it great for looking at the methane lakes.3 Every time Cassini flies past the moon it gathers data for the ground that it is passing over. After numerous fly-bys nearly the entire surface of the moon was mapped, creating the first global topographic map of Titan,3 see figure 8. Did you know that Enceladus has deeper oceans than Earth? Where exactly was the source of this liquid water on Enceladus? Where did this source come from? Why hasn’t the source frozen solid like the surface? Figure 9: Image of Enceladus’ south polar region. Credit to NASA/JPL-Caltech/SSI. 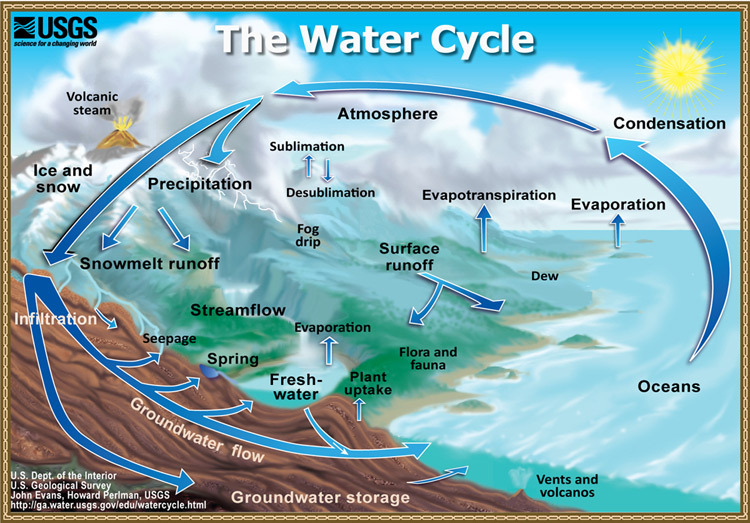 Since its discovery, scientists knew the geysers needed to be sourced from a liquid reservoir underneath the surface. But as for how extensive this body of water was, there was much debate. Some said that there were many small reservoirs located beneath each geyser. Others said that there was one single reservoir located around the south polar region because almost all the geysers were concentrated there. Both turned out to be false! In 2015, the debate was finally put to rest: Enceladus has a global ocean beneath its surface. To prove this fact, scientists carefully measured slight variations in Enceladus’ orbit around Saturn, a phenomenon known as libration.22 The idea was that if the moon wasn’t completely solid all the way through, there would be a “wobble” in its orbit due to the insides of the moon effectively “sloshing around”. For seven years, they took measurements from instrument both on Earth and on Cassini and looked for just such a wobble.22 Once the wobble was found, proving their idea true, they set about determining how deep and extensive this body would have to be to cause the wobble they were observing. To do this, a modeling software was used. For an explanation of how modeling software can tell us things about Enceladus see the “Flight Simulator Analogy” section. Modeling software is used in many disciplines of science. It is often used when someone wants to test an idea that can’t be physically tested. Such as our case with Enceladus. Modeling software achieves this by running simulations with known parameters. Think of a flight simulator that pilots use for training, as an example. The known parameters are things like the wind or how big the plane is, etc. And the modeling software (i.e., the flight simulator) with calculate how all these parameters will affect how the plane with fly. Even though the simulator can’t duplicate real world scenarios exactly, it can make a very precise and accurate estimation that are close enough. A similar thing is done with the modeling of Enceladus. In the model, things like Enceladus’ mass and size were considered. Also, needing to be considered is how different kinds and depths of liquids would affect the wobble of Enceladus. Then, it was a relatively simple matter of finding the correct size of the ocean in the model that would produce a similar wobble to the one they observed in real life. And just as with the flight simulator, this can only provide a highly precise and accurate estimate. We won’t know the true nature of Enceladus’ oceans until we actually interact with them just like a pilot won’t know the true nature of flying until they’re in a real plane. But the simulation is pretty close! 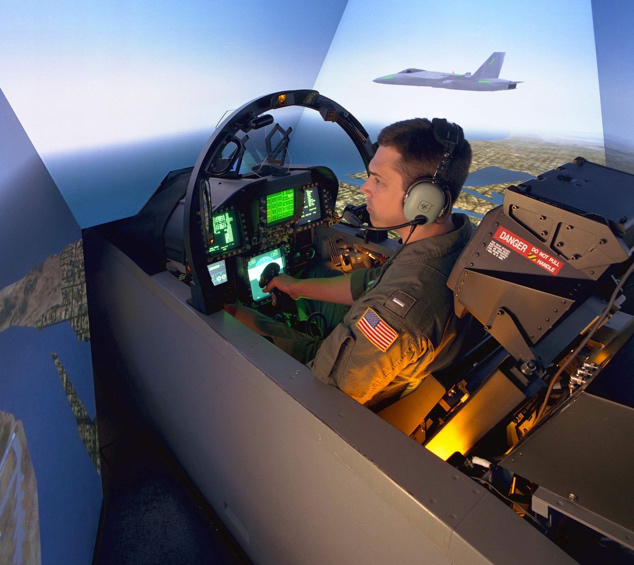 Figure 10: Flight simulator used to train US Air Force pilots. Credit to Wikipedia Commons. The modeling software told us that the reservoir did indeed wrap around the entire moon! Though, it was underneath a 30-40 km thick layer of ice. At its deepest, estimates based on the modeling range from 26 to 31 km deep.21 Around the south pole, a maximum depth of 10 km is estimated.22 For comparison, oceans here on Earth have an average depth of 3.7 km and a maximum depth, in the Mariana Trench, of 11 km.23 So that means the global ocean on Enceladus is likely to be deeper than the deepest ocean on Earth! 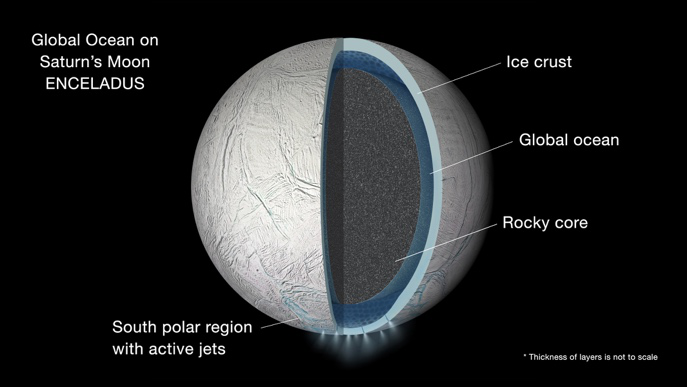 Figure 11: Image showing the different layers of Enceladus. Note: layer thicknesses not to scale. Credit to: NASA/JPL-Caltech/SSI. How Did All This Water Get There? We know already that there is plenty of ice (water in solid form) in this part of the solar system. Much of Saturn’s rings are made of ice and plenty of comets, asteroids, and meteoroids have been found to contain ice.24,25 The issue is getting this ice to melt into water. The only way to be 100% sure about how the ocean formed is to go back in time and observed it happening. Unfortunately, we can’t do this. But what we can do it take what we know about physics and make educated guesses. Science: Truth or Best Guess? If you’re beginning to think that all science is, is best-guessing things, then you may not be far off from the truth! While there are things that we know for certain about the universe (laws of thermodynamics, conservation of momentum, etc.) 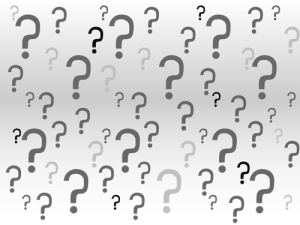 there are plenty of things (some of which you’ve come to know from reading this page) that we are simply making guesses about. One thing to note here is that these are highly educated guesses. There’s a big difference between a highly-educated guess and just making something up. Educated guesses are based on facts that we know for sure and that we extend out to other situations. Make believe can be anything, whether it’s founded on reason and logic, or not. Figure 12: Credit to Wikipedia Commons. One idea as to how the water got there in the first place is the “hot start” model. This model suggests that the moon began as a mixture of ice and rock. In the rock was lots of rapidly decaying radioactive isotopes.26 A radioactive isotope is an atom, like oxygen or hydrogen, that is unstable. This instability causes the atom to “break apart” into two smaller atoms, see figure 13. When it breaks up, a large amount of energy is released. Here on Earth we harness the energy released from radioactive isotopes in order to generate electricity in nuclear power plants. For Enceladus, certain radioactive isotopes of aluminum and iron with a short half-life are suggested. This is because the shorter the half-life, the more decays happen every second and therefore more energy every second and we need a lot of energy released quickly in order to generate the heat needed for the next step. 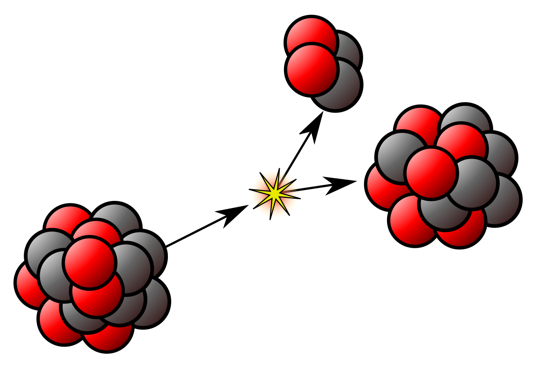 Figure 13: Image shows a radioactive atom decaying into two smaller atoms. Credit to Wikipedia Commons. Half-life: the amount of time for a half of a sample of radioactive material to decay. A shorter half-life means more decays per second, and therefore more energy released per second. 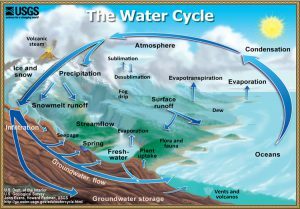 Next, with all this heat, the rock containing the isotopes melts into magma (like what’s inside the Earth), and even the surrounding ice melts into water.27 Now with everything in a liquid state, the heavier material (rock) falls toward to the center and the lighter material (water) rises to the surface. Think of when you throw a rock into a pond: the rock sinks to the bottom (or in other words, as close to the center of the Earth as it can) and the water ends up on top of the rock because, of course, the rock is denser than the water. This is why the center of Enceladus in mostly rock and the outer layers are water and ice.28 As the decay subsided, the outermost layers of Enceladus froze due to the extreme cold of space but a global ocean remains underneath the icy surface. Geological Features on Enceladus Further evidence of Enceladus once being very hot, are the geological features such as faults and rifts observed on its icy surface by the Voyager missions. These features are similar to the geological features that appear here on Earth which are a result of the Earth’s mantle and outer core being very hot and therefore liquid. See figure 14, for a comparison of geological features on Earth and Enceladus. 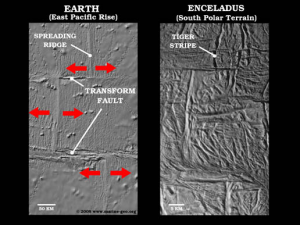 Figure 14: Shown here is a comparison of geological features on Earth to similar features on Enceladus. A transform fault requires a liquid/plastic “lubricant” layer to be present underneath the crust in order to form. Credit to NASA/JPL/Space Science Institute. Why Doesn’t This Now-Formed Ocean Freeze? If Enceladus’ surface has turned to ice because of the cold temperature of space why hasn’t it frozen solid all the way through? It was the Cassini satellite that answered these questions. Using Cassini’s Composite Infrared Spectrometer (CIRS), scientists were able to determine that Enceladus’ subsurface ocean is in thermal equilibrium.30 To understand how the CIRS can do this we need to first talk about what temperature and light are and how they are connected. Figure 15: Image of the Bohr model of an atom. Here an excited electron is descending back down to the ground stable orbital and releasing energy in the form of a photon as a result. Credit to Wikipedia Commons. Thermal equilibrium: A system is said to be in thermal equilibrium if its temperature is remaining constant; that is, all the heat that the system is giving off is being replaced at an equal rate. Temperature, by definition, is simply a measure of the heat of a system. Further, heat is a measure of how “excited” the atoms are that make up a system.31 When an atom is not excited/not heated, the electrons that orbit the centre of the atom orbit at a distance that is known as the ground state. 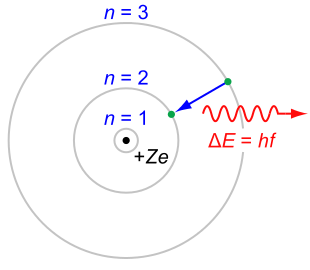 When an atom is excited/heated, the electron move outward and orbit at a distance farther from the centre. Electrons in an excited state are unstable and therefore must descend back down to the ground state orbital eventually.30 When the electron descends, it releases a photon. See figure 15. This is where the connection to light is made. Photons are what light is made of, in a similar way that atoms are what you are made of. Photons are different from atoms in the sense that they have no mass and exists, for our intents and purposes, as a wave.32 This photon/wave has a specific wavelength based on how much energy the photon has. This wavelength determines what kind of light a particular photon is. In figure 16, you can see all the different wavelengths of light. Notice how small of a portion visible light is. Also, notice how the only difference between the visible light that your eyes use to see and the radio waves that your stereo uses to play music is their wavelength. Figure 16: Image shows the different wavelengths of light. Also portrays examples for reference. Credit to NASA. Everything is giving is giving off light no matter what the temperature of that thing is.30 However, what wavelength/type of light it is does depend on temperature. The higher the temperature the shorter the wavelengths of the photons being emitted. Hot Iron Rod Analogy An good example of this is a hot iron rod. At room temperature, the rod doesn’t emit any visible light but is still emitting light at other wavelengths. 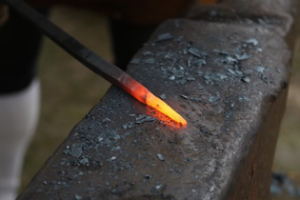 However, if you heat the rod in a fire long enough it will begin to glow, emitting visible light. Figure 17: Image show a iron rod that has been heated and therefore emit light. In this case, the photons happen to have the wavelength of visible light and therefore can be seen with our eyes. Credit to https://pixabay.com/en/photos/fire/?cat=industry. Figure 18: Image show a diagram of a wave with the crest and trough labelled. Credit to NASA. 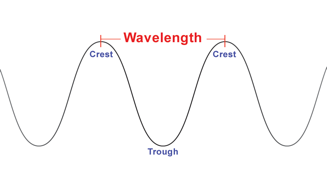 Wavelength: the measure of the length between two successive crests or troughs in a given wave. See figure 18. Now, tying all this back to Enceladus and the CIRS! The CIRS works by detecting and analyzing infrared light given off by the heat of Enceladus’ oceans.33 This light is not visible to the human eye but it is “visible” to the instrument. By analyzing the wavelength of the light, the temperature of an object (i.e., the global ocean) can be determined.34The CIRS can measure wavelengths of 10 to 600 cm; for comparison, visible light is 400-700 nm. Cassini’s instrument also measures the background light by targeting the surrounding area in order to ensure that the photons it is analyzing is coming from the global oceans and not just from the surrounding area.35 By measure the light from multiple points in Enceladus’ ocean for long periods of time they found that the temperature didn’t change. This is what led the scientist to claim that the global ocean is in thermal equilibrium. Scientist aren’t sure where the heat that’s balancing the thermal equilibrium is coming from. Another question is whether life could exist on Enceladus given that there’s a heat source and liquid water. Cassini has told us much about Enceladus. However, in order to answer the remaining questions, it looks as though we will need to send another satellite to Saturn as Cassini will soon be running out of fuel. If that happens, who knows what we would discover! Two of Saturn’s moons, Titan and Enceladus, are particularly interesting to study. What is happening on our Moon is nowhere near the same as the things happening on Titan and Enceladus. 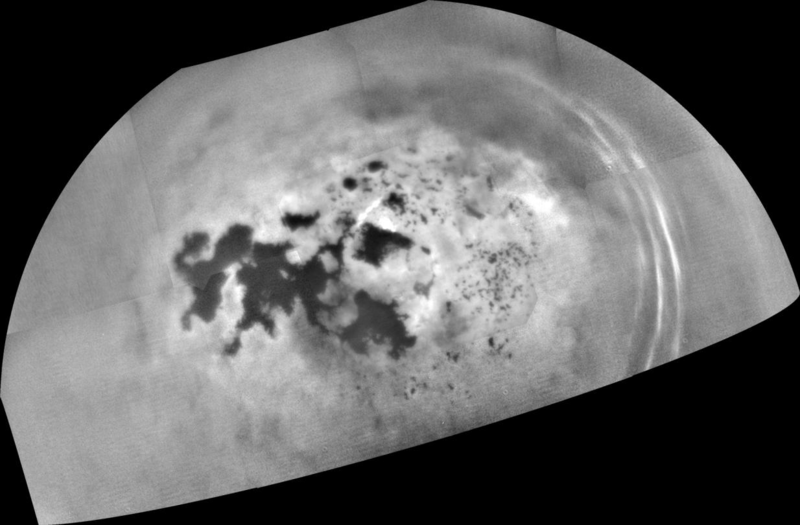 Titan has clear evidence of methane surface lakes as determined by the radar capabilities aboard Cassini. Some of these lakes detected by Cassini are so large they can be classified as seas. Although these lakes are made of methane, they are still hydrocarbon lakes and could indicate that life can thrive on Titan. The radar capabilities of Cassini are able to penetrate the thick atmosphere of Titan and have successfully imaged the lakes and surface of Titan to create a topographical map. This can make further research on Titan easier as we can pinpoint exact positions on the moon if we find notable features or events that occur. 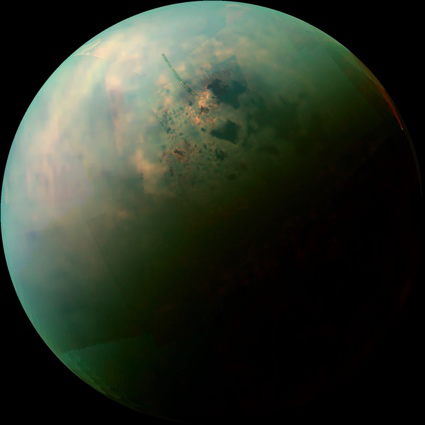 This evidence could also help with the search for life on Titan, a phenomenon never thought possible on our own Moon. Saturn’s other notable moon Enceladus was observed to have geysers that sprayed water vapour into space at very high speeds. It was later found that Enceladus has a massive subsurface ocean made of water that is hypothesized to have been created by the heat of radioactive isotopes early in the moon’s evolution. This is the source of the material being sprayed from Enceladus’ geysers. Enceladus’ subsurface ocean was also determined to be in thermal equilibrium. This means that there is equal heat being put into and leaving Enceladus’ subsurface ocean. These factors all provide support for the possibility of life on Enceladus. 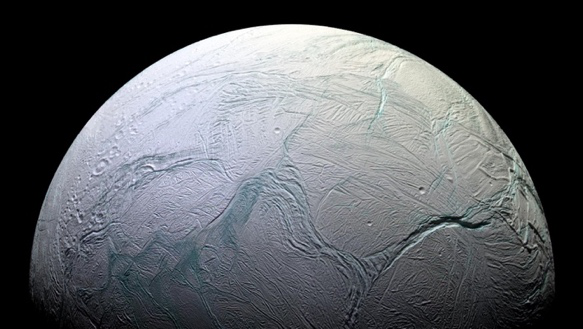 Further research is needed to see if Enceladus could support life. With all these amazing facts being discovered about these celestial bodies and with more advancements in research on these moons happening all the time, it will be interesting to see what is uncovered in the future.